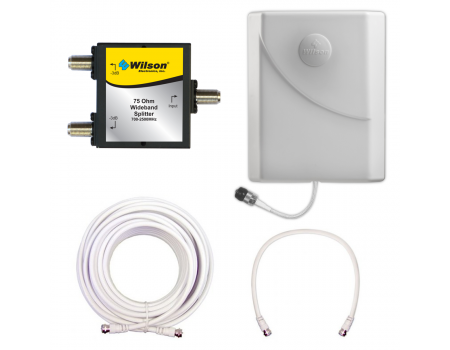 The weBoost 75 ohm Inside Panel Antenna Add-On Kit is the easiest way to add a second inside antenna to a 75 ohm signal booster system. This kit splits the signal coming out of the amplifier and directs half to the antenna that came with the signal booster and the other half to the antenna included in this kit. Wide-band components. Will work with dual-band, LTE, AWS, and even Nextel/iDEN systems. 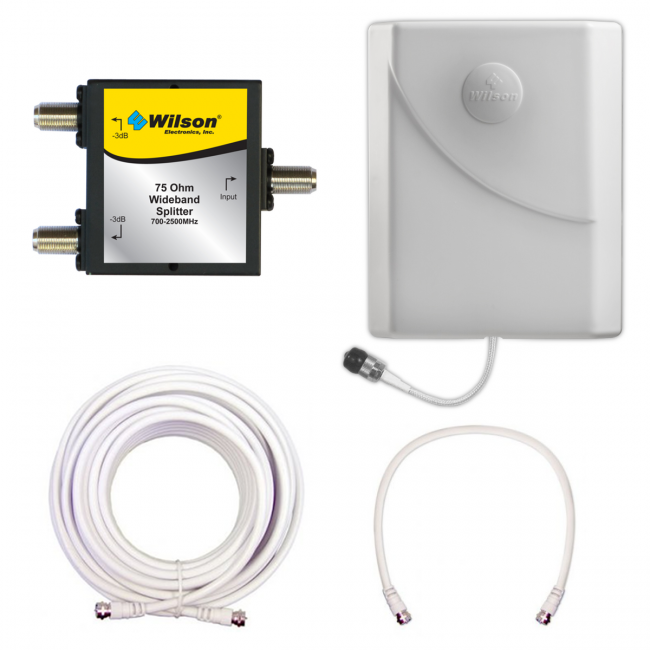 Includes everything needed to add a second antenna to an existing signal booster system. Installation is easy and requires no special tools or skills. Comes with a 30 day satisfaction guarantee. 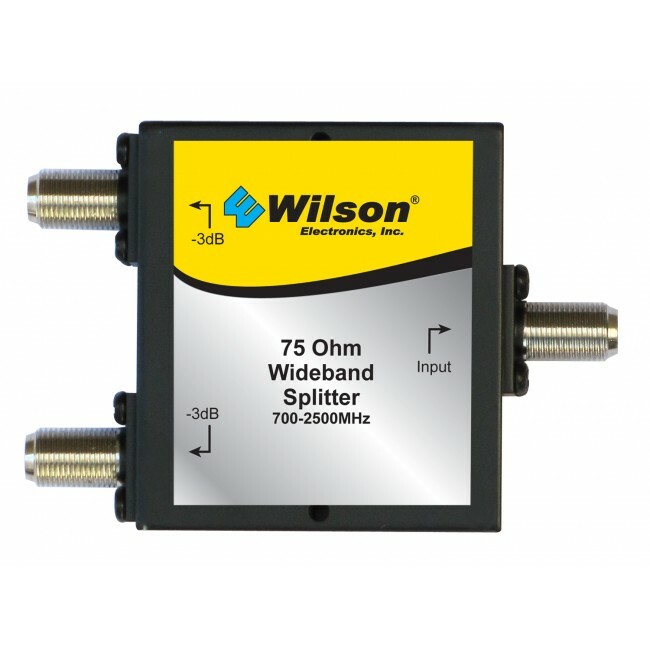 The weBoost 75 ohm Inside Panel Antenna Add-On Kit includes everything needed to add a second inside antenna to any of the 75 ohm weBoost systems. 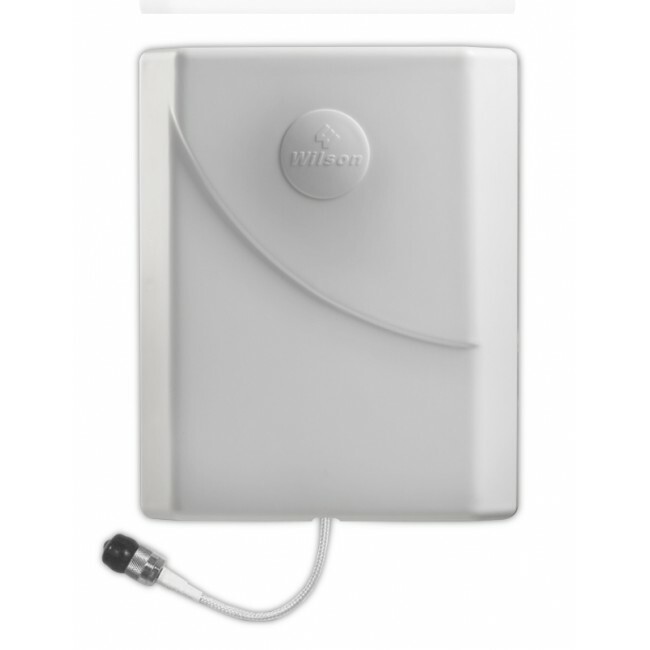 A second antenna can greatly improve the coverage area of your signal booster in situations where one antenna is not able to adequately cover your entire space, such as in situations where you have multiple rooms and the dividing walls are thick enough to block the signal or where your space is in the shape of an "L" or other irregular shape. An additional antenna can also help if you need to cover multiple floors, especially when the floors contain metal or concrete. Adding a second antenna to your system is very easy and can be done by anyone. First, unplug the power to your signal booster amplifier to prevent any damage. Next, unhook the existing inside antenna and coax cable (not included) from your signal booster amplifier. 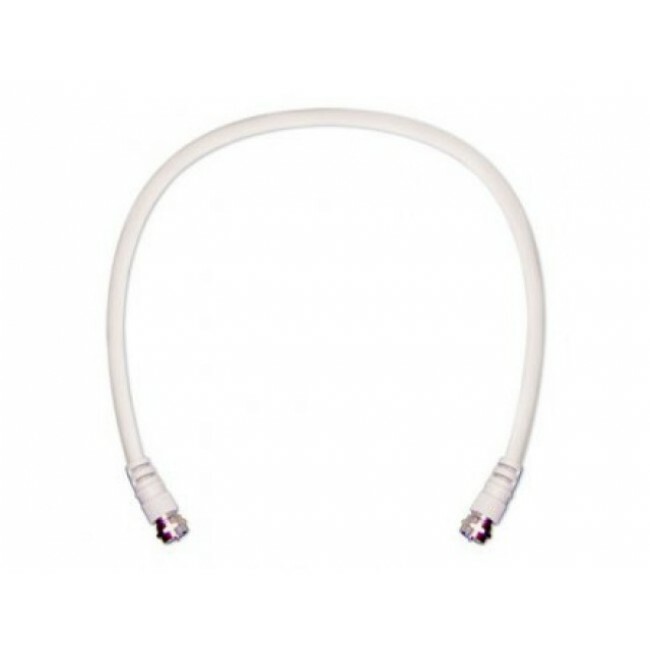 Connect the 2 ft coax cable to to inside antenna port on your amplifier and then connect the input port on the signal splitter to the other end of the 2 ft cable. 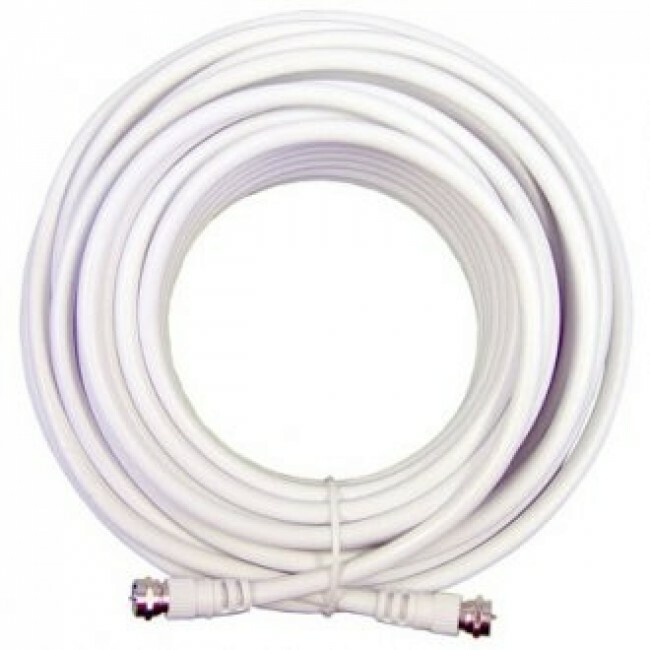 On the output side of the signal booster, reconnect the existing antenna and coax to one side and on the other side, connect the included 30 ft coax cable and then connect the included panel antenna to the other end. Reconnect the power to the amplifier and you should now have two inside antennas ready for use.